Also attending the burial were King Constantine II of the Hellenes, Princess Louis of Hesse and By Rhine, Prince and Princess Georg of Denmark and the Count of Barcelona. The other members of the Royal Family, who were present for the funeral were Queen Elizabeth the Queen Mother, the Duchess of Gloucester, the Duke and Duchess of Kent, Prince Michael of Kent, Princess Alexandra, the Hon. Mrs. Ogilvy, Lady Patricia Ramsay and the Admiral the Hon. Sir Alexander Ramsay, Princess Alice, Countess of Athlone, the Marchioness of Cambridge and the Duchess of Beaufort. Princess Andrew was born Princess Alice of Battenberg, the eldest of four children of Princess Victoria of Hesse and by Rhine, a granddaughter of Queen Victoria, and Prince Louis of Battenberg, who in 1917, relinquished his German titles, and was created the Marquess of Milford Haven. She was born on February 25, 1885 at Windsor Castle. The Princess married Prince Andrew of Greece and Denmark at Darmstadt in 1903. They had four daughters, Margarita, Theodora, Cecilie and Sophie between 1905 and 1914. 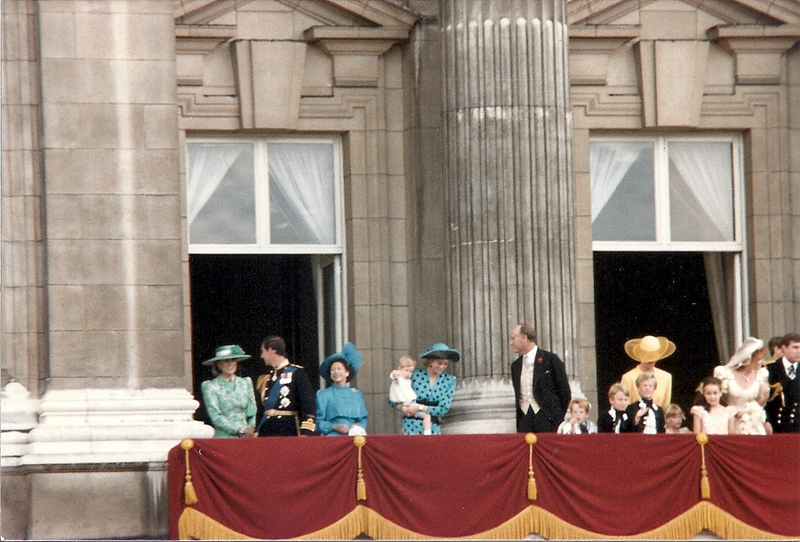 Prince Philip was born in 1921. The Princess was baptised in a Lutheran ceremony. Her confirmation, which took place at Windsor, was according to the rites of the Anglican church. Her wedding ceremonies were Lutheran and Greek Orthodox. Princess Alice did not convert to the Greek church until some years after her marriage. Princess Andrew of Greece and Denmark died at Buckingham Palace on December 5. Isn't Princess Andrew now buried in Jerusalem? Princess Alice had a mental breakdown and was admitted to various sanitoriums in Europe for treatment when Prince Philip was growing up. A biography of her (which I don't have to hand) tells of her working as a nurse during a Greek - Turkish war (I think it was Turkish), and describes the horrific experiences she had. Could she have been suffering from a severe Post-Traumatic Syndrome, from which she never fully recovered? I've been trying to find sources that back up that she was baptized in the Lutheran faith but haven't found any. Obviously we would assume that her parents, as German royals, would have had her baptized Lutheran (but since it was at Windsor Castle there is speculation that it was an Anglican baptism). Does anyone have any sources to clarify which Protestant faith she was christened in? Alice was born at Windsor Castle. She was baptized at the New Palace in Darmstadt by the Court Chaplain. The baptism followed the confirmation of Alice's uncle the Hereditary Grand Duke of Hesse and By Rhine. Queen Victoria was present for both events. She held the infant princess during the baptism and was one of the godparents. See The Times (Court Circular) on 4-27-1885.